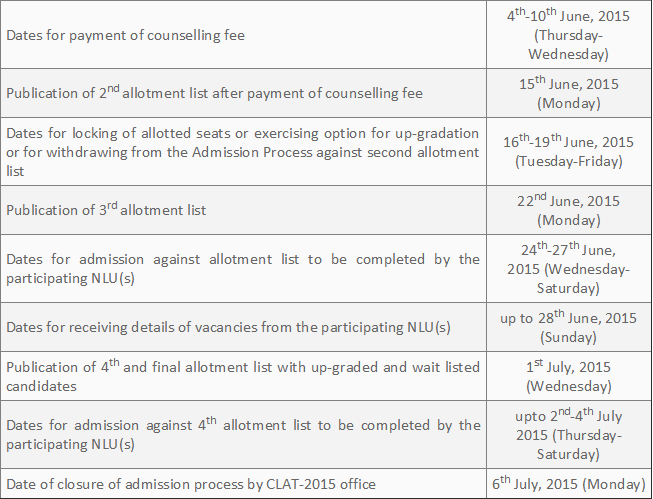 http://clat.ac.in is the official website of Common Law Admission Test (CLAT) 2015 for admissions to Under Graduate and Post Graduate Degree Programmes (LL.B & LL.M.) 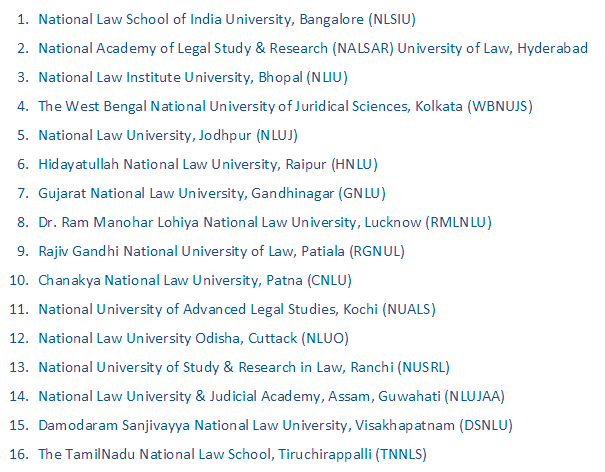 in 16 National Law Universities. CLAT 2015 is an All India Entrance Examination. Examination will be on Sunday, 10th May 2015. Fees for Previous Year Question Papers: Rs. 250 can be paid through Online only. Upload necessary copies of documents (Birth Certificate, 10th Standard Mark Sheet, Qualifying Exam Mark Sheet, Passport Size Photo (JPG Format, Below 100 KB, 3.5 cms x 4.5 cms), Signature of the Candidate (JPG Format, Size Below 100 KB)) and complete the application procedure. Candidates can download and take printout of the Admit Card or Hall Ticket and bring to the exam centre.